So you bought a new PC! You got all the hardware ready, and all you need to do is add a new operating system. You want simple and easy, so you’ll go for Windows. 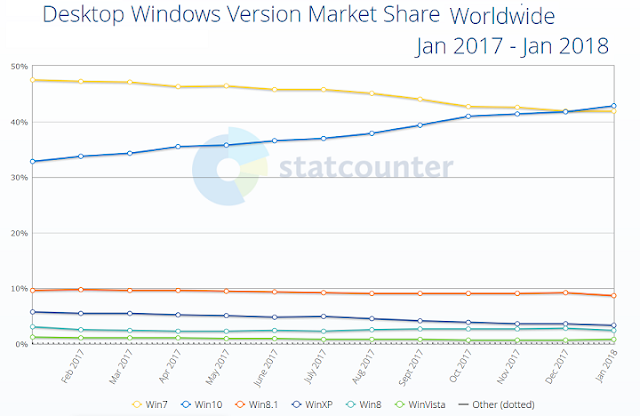 Windows 10 is the most popular operating system in the world. It holds 39.22% of the global market share, even more than Windows 7. There’s now one question left. 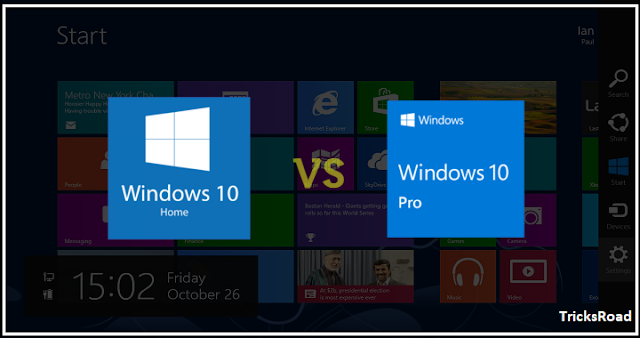 Windows 10 Home vs Pro – which one do you pick? What’s the difference between Windows 10 Home and Pro? One is obvious to have more features than the other. Do you need them? We’re about to find out. What’s in Windows 10 Home? Windows 10 Home is the basic version of Windows 10. It provides robust features that any home user would love. One of the things you get with this version includes the revamped Start menu. This combines the tiled Windows 8 style with the traditional programs list we know and love. You also get Cortana, Microsoft’s digital voice assistant, in both Home and Pro versions. 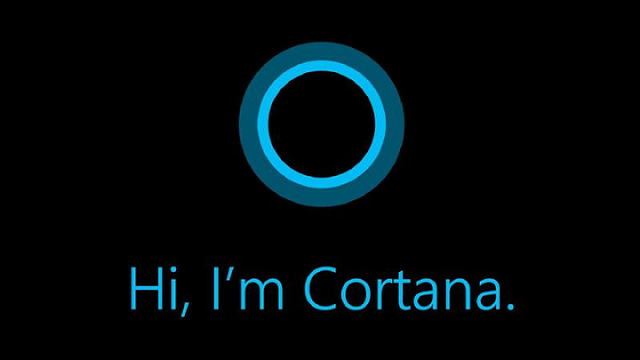 Cortana, like Siri, can help you find things and information on the internet as well. There’s no difference between Windows 10 Home and Pro on many other features. Both will have the Battery Saver, which lets you save power. This happens by making your system work with more efficiency. Another great feature you get from this basic OS are the consistent patches and security. The Windows 10 Home will receive security updates and patches. This means you get automatic updates that cover as much of the device security you need. All these are essential features to make the average home user happy with its everyday use. Some power use features, including Device Encryption and Virtual Desktops, are available for home use. If you think you need something better than necessary protection, then Windows 10 Home is not for you. If you, however, want a machine where you’ll do basic office work and some gaming, there’s no need to go with a higher version. Want more about the Windows 10 Home version? Check out this website. Windows 10 Pro has everything that the Home version can offer, and a few more things. 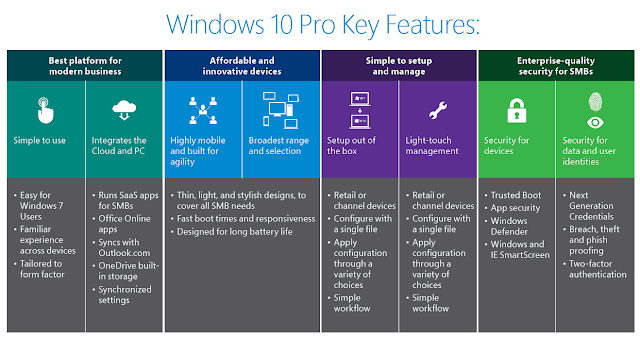 At a glance, the difference between Windows 10 Home and Pro are some power user features. If you plan on using Group Policies and Domain Join for an office setting, the Pro version is what you want. The Pro version offers more robust networking connectivity tools than the Home version. Domain Join and Group Policies mean you can connect many devices together. This allows you to connect through a server and create an in-house local network. Windows 10 Pro also lets you use Remote Desktop. This gives you control to a network connected device from another computer. This is useful for IT admins and remote staff who want to take control of user accounts. What makes the difference between Windows 10 Home and Pro, however, is virtualization. With Hyper-V enabled on the Pro version, this lets users create virtualization options for their user accounts. 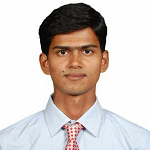 This enables you to emulate both OS and hardware components for your purposes. With extra features like BitLocker for USB encryption and Azure Active Directory, this makes Pro the better enterprise option than Windows 10 Home. If your work needs you to connect to a domain, you need the Pro. Why Pick the Home Version? The question of picking Windows 10 Pro over the Home version all comes down to your needs. At the end of the day, if you can’t make the best out of Domain Join and more sophisticated network tools, you might as well stay with Windows 10 Home to save some money. Do you need Hyper-V in your life? Do you need to connect to a domain? Do you need to be able to create group policies for your network? If your answer in any of these is yes, then the difference between Windows 10 Home and Pro is noticeable. You need the Pro version to get any of these to work. If your answer is no to all, the simple solution is to stay with Windows 10 Home. You don’t need remote desktop and even group policies to write an essay for schoolwork! All you need are the basic features, and you should be set to go. When it comes to Hyper-V, being able to use it or not is everything you need to care about when upgrading to the Pro version. You don’t need to pay a few extra hundred bucks for BitLocker. Why Choose Windows 10 Pro? Beyond the extra user features, one specific hardware difference between Windows 10 Home and Pro is the memory support. It seems innocuous, but the Home version can support up to 128GB of RAM. This sounds much, but this is there for many users who do homebrew or work on rendering using high capacity memory. The Windows 10 Pro, however, supports a whopping 2TB of RAM. Why would you ever need 2TB of RAM? The answer is still virtualization. If you’re in a professional environment, data center and hybrid-cloud systems may need as much RAM to emulate. You might also find the remote desktop feature a good one to have if you’re your family’s go-to IT pro. For people who like to fine-tune what people can or can’t do in their home or office, Pro is the way to go. Windows 10 Home Vs Pro: Which One Do You Need? In the face of the debate of Windows 10 Home vs Pro, it all boils down to your needs. If you don’t need your system for anything beyond internet, games, and writing, Windows 10 Home is the way to go. If you want virtualization and domain access, Windows 10 Pro is the right one for you. If you’re looking to learn more about tips and tricks to get your online business going, what you need is Tricks Road. Check us out now and see what more can you learn. Learn more tricks for success, don’t hesitate to read our other blog posts and guides. From the best link building tips for SEO to supporting legacy software for your business, we have it here.